Las Vegas is a great place to start a company. There’s a supportive tech scene, a variety of industry leaders always on the lookout for up and coming talent, and better than average tax advantages. Cost of living is also super startup-friendly, meaning you can invest more of your profits into growth and less into overhead and living expenses. Meanwhile, working from home has a whole other set of advantages and perks. Any time you’re going to operate a business in Las Vegas, you need the appropriate business licenses. Even if you’re just consulting part time from your kitchen table, you need licenses to remain compliant. We’re not lawyers, so we’re not going to give you any legal advice. Gina Bongiovi is a lawyer, though, and she wrote this great post about starting a business in Las Vegas. Give it a read. In a nutshell, here’s what you’re probably going to need to start your business in Vegas: a name, an address, a Nevada business license, any applicable local licenses, and your tax identification information. Silverflume makes state licensing much easier, so check it out. Compliance is no joke, so don’t mess around. If you’re pretty much hopeless at navigating legal requirements, consult with a business attorney to get help. Before you jump into the registration process, though, there are a few more things to think about. When you register your business, that address becomes public information. 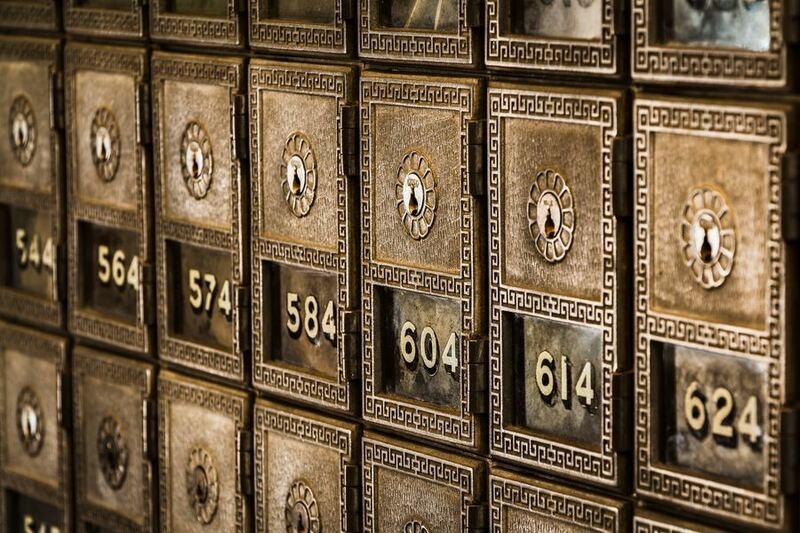 Are you comfortable using your home address? Some jurisdictions have restrictions and requirements related to your business address, and some there are some types of businesses that can’t be operated from your home at all. For example, Nevada does not allow people to sell food cooked at home to the general public, so if you wanted to start a baked goods company, you’d need access to a commercial kitchen. Assuming you aren’t subject to those kinds of restrictions, there are a few options for your business address. If you’re comfortable with it, you can use your home address. If that raises privacy concerns, you may be able to use a mailbox at some place like a UPS store for your business address, but check regulations in your jurisdiction before you do that. It’s not always permissible. Renting office space is another viable option, though if you’re leasing an office, you’re not really working from home. You can also take advantage of coworking space with business mailing services – it’s far more cost effective than traditional office space, and most spaces will work with you to provide mailing services and meeting space whether you need a permanent desk or not. Even if your business address is officially at a coworking space or a box, you can still work from your home office. Working out of your house is great. There’s no commute, you can cook a hot lunch right there in your own kitchen, and you work whenever and however you want. Some people find that a home office is their secret to productivity. Those people are in the minority, though. Working from home has its own unique set of challenges and drawbacks. Instead of chatty coworkers, you might have kids and pets demanding your attention. Soon, you might find yourself sleeping late, goofing off, and putting in 3 hour workdays. Other people have the opposite time management problem. Since your home office doesn’t have an official opening and closing time, you can start and stop work whenever you like. Without the structure of formal business hours, some entrepreneurs find themselves constantly at their desk working late into the night. Maybe that’s what you need to build momentum, but if you’re having trouble giving time to your other priorities, it can be a problem. 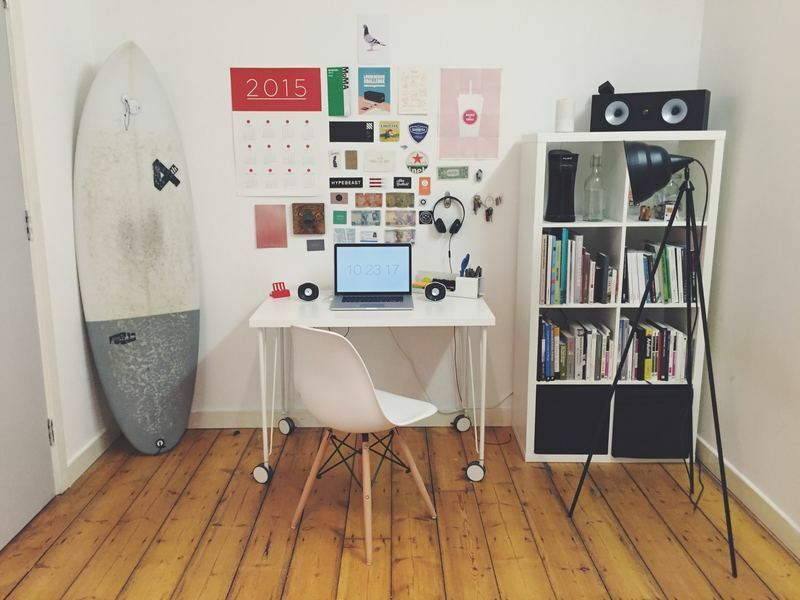 Setting up your home office thoughtfully helps balance your time. Have a space in your home that’s 100% for working. When you’re in that office area, you’re working. When you’re not in that office area, you’re not working. 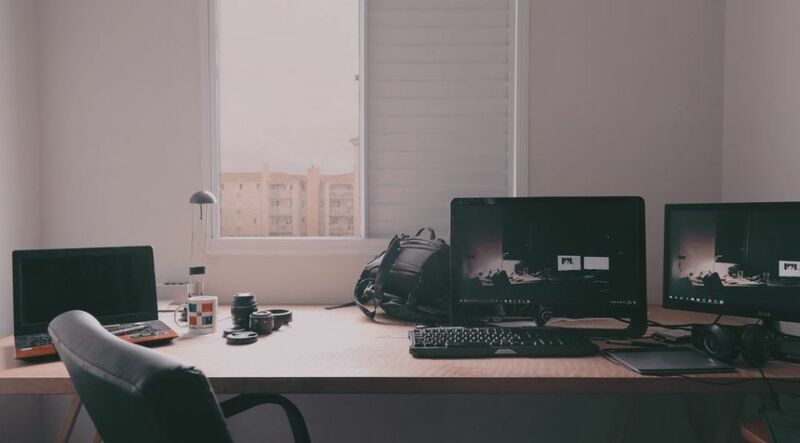 The discipline to keep your work space separate from your living space helps you keep your work time separate from your recreational time. Designating your office area also cuts down on interruptions. That room (or private spot in your living room, or whatever) is off limits to everyone except you. Kids can’t play there, spouses can’t use it as a place to plop the mail, and when you’re at your desk, you’re understood to be unavailable. The reverse is also true. When you’re out of your office, you’re not checking emails on your phone, typing on your laptop from the couch, or texting business contacts. Everyone in your household should be on the same page. Enforce the rules consistently, and keep reminding your family members or roommates as often as needed. 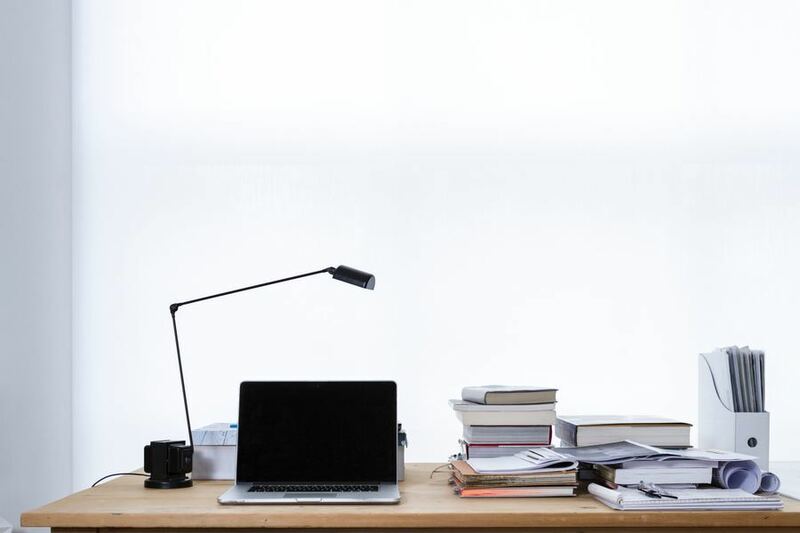 Sticking to a work schedule is another way you can keep your office space dedicated. 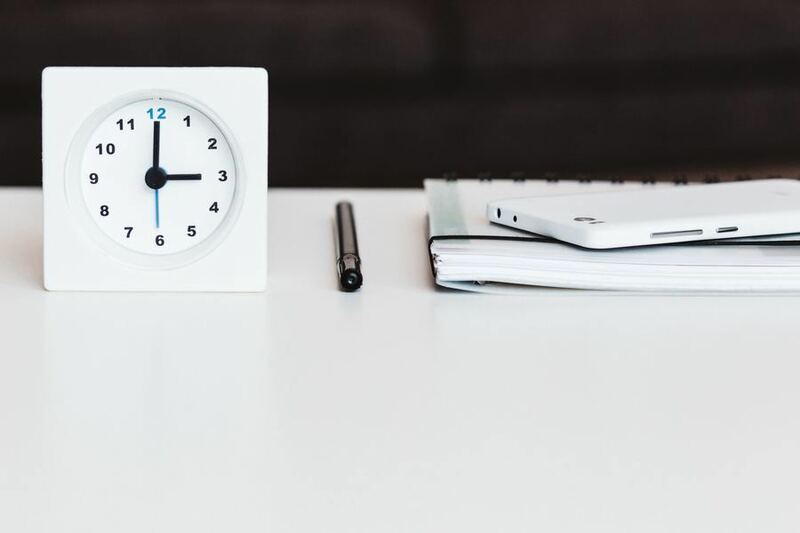 Just like the start and end times at a job, having routine hours to begin and end your workday gives your home based business structure and consistency. Your predictable hours also help customers, clients, and business partners trust your company. They can rely on you to be available when you say you are, and during your off hours, they’re more likely to respect your personal time. While you’re building your business from scratch, you might need to put in more than 8 hours a day, 5 days per week, and you’re definitely going to need a little more flexibility. Rather than letting tasks and opportunities determine how you use your time, though, take control of your priorities and only work outside of your regular hours when you’ve made a conscious decision to do that. New business owners always underestimate the amount of time you’ll need to be successful and the amount of work you’ll have to put into marketing to earn new customers. Most of the work you’ll do is marketing. For freelancers, the balance tends to be about 75% marketing yourself to new clients and 25% servicing the clients you already have…and that’s only after you’ve established yourself. When you’re new, that proportion is more like 95% marketing and 5% working. No matter what kind of business you’re in, you need customers or clients. That’s how business works. If you’re pretty much hopeless at technology or you struggle to learn new things, it’s perfectly reasonable to partner with someone who is a marketing whiz, or budget some money to work with a freelancer or agency. For those that already have some marketing chops, you probably also know that you’re going to need to invest some cash. Starting and running a business is difficult, and there will be days when you want to quit. On those days, you will quit unless you can reconnect with the reason you started your business in the first place. Your ‘why’ is your big, compelling goal. When someone asks why are you going through all of this? you can answer something like because I want to create a life where I can stay home with my children or because I believe in helping people through my business. For most people, setting out to make money isn’t enough to get you through the most frustrating days. Money isn’t actually that motivating. It’s the things you want to do with money that inspire you to keep moving, whether that means the lifestyle you want to live or the causes you want to support. Write down your ‘why’ and put it up in your office. There will be days when you need reminding. Running your own business comes with a unique set of challenges and perks. Stick with it and you’ll reap the rewards.